Based on a true story, iconic playwright Georg Büchner tells the haunting tale of a poor soldier, Franz Woyzeck, slogging through life in a provincial German town. Desperate to support his girlfriend Marie and their child, Woyzeck earns extra money working menial jobs, including a medical experiment requiring him to eat only dried peas. As his mental health deteriorates, he begins to experience apocalyptic visions. 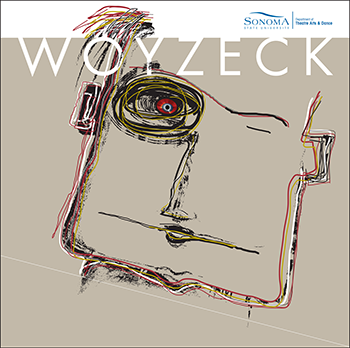 Humiliated by “The Captain”, “The Doctor” and others, Woyzeck begins to feel at odds with the social order. When Marie sleeps with a handsome drum major, his frustration and resentment deepen, leading to a heinous crime.